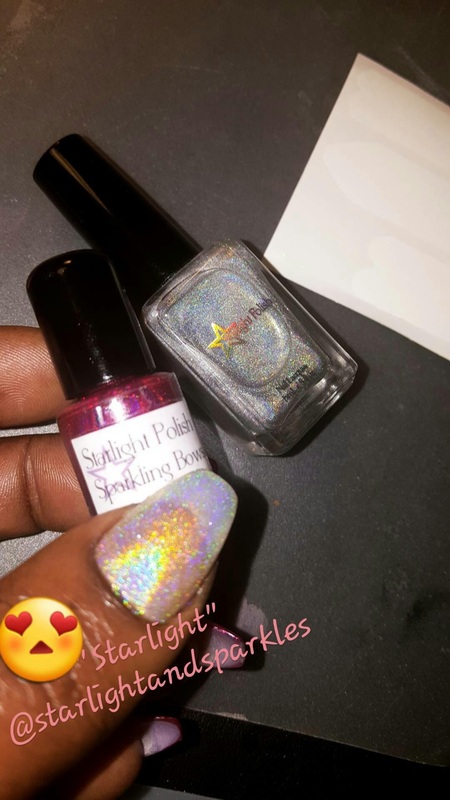 I shared a Review on STARLIGHT AND SPARKLES already recently but I used 2 More colors that I had to share. 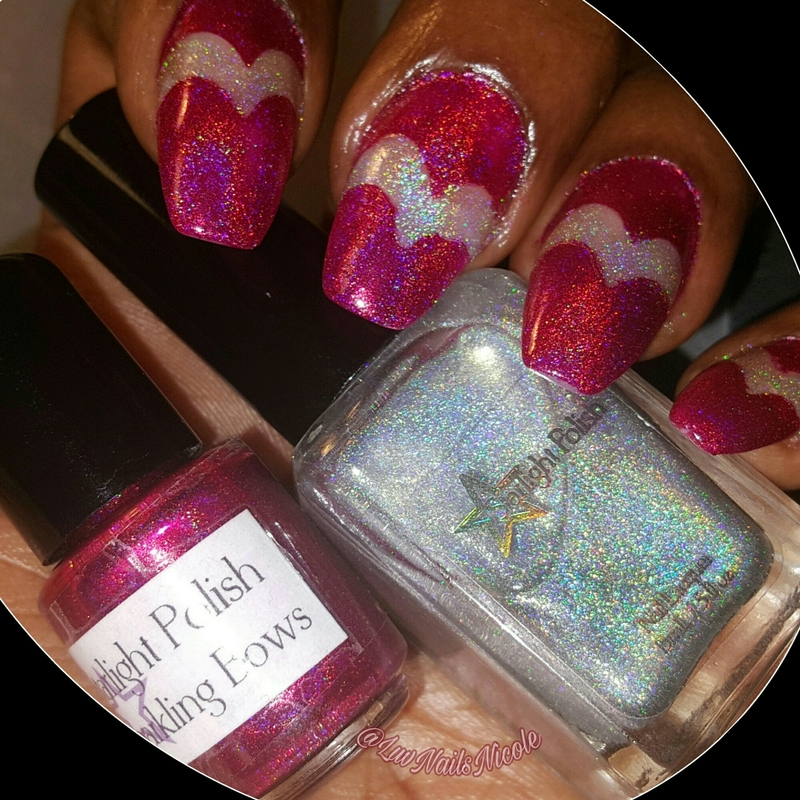 I absolutely luvvv them!These are definitely my new fav Holos &I want them all!! BTW there is a new collection out & the colors are to die for! !If your on Instagram watch the Swatch vids,I’ll leave links below. 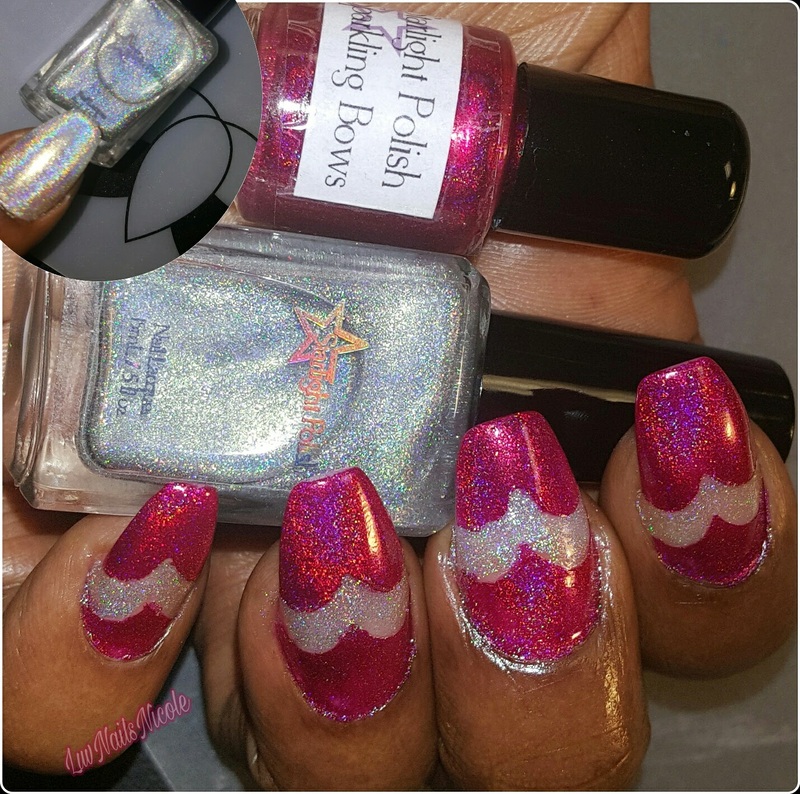 STARLIGHT is a Holo Topper & SPARKLING BOWS is actually a Fuchsia Holo But Kinda has Reddish Tints also. 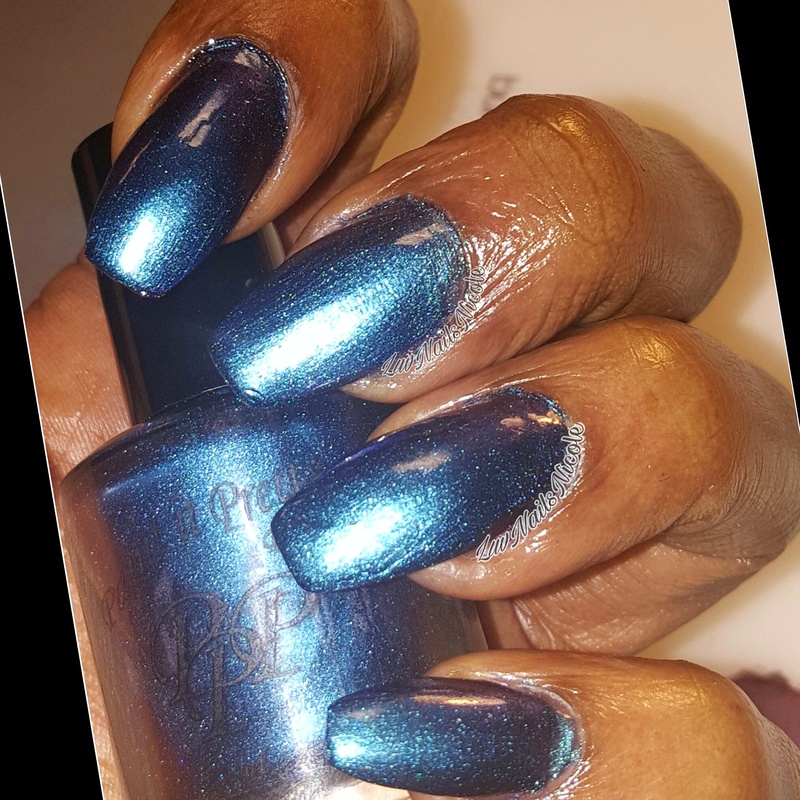 They are both Stunning& Surprisingly easy to Remove&Apply,they aren’t super thick&clumpy.Very Smooth 1-2coat applications. 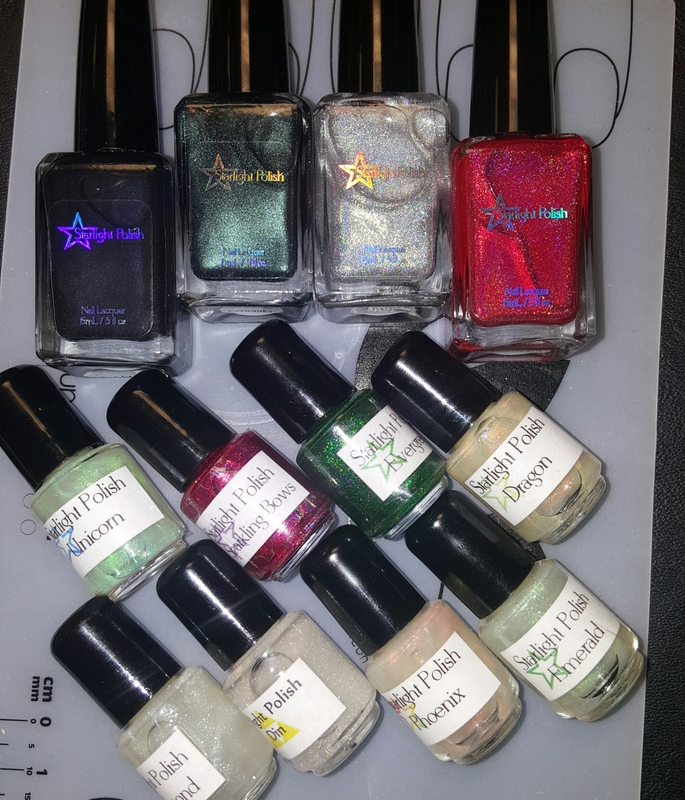 Most of the mini polishes start at just $3.50&Up! 2 coats of Starlight on my thumb. 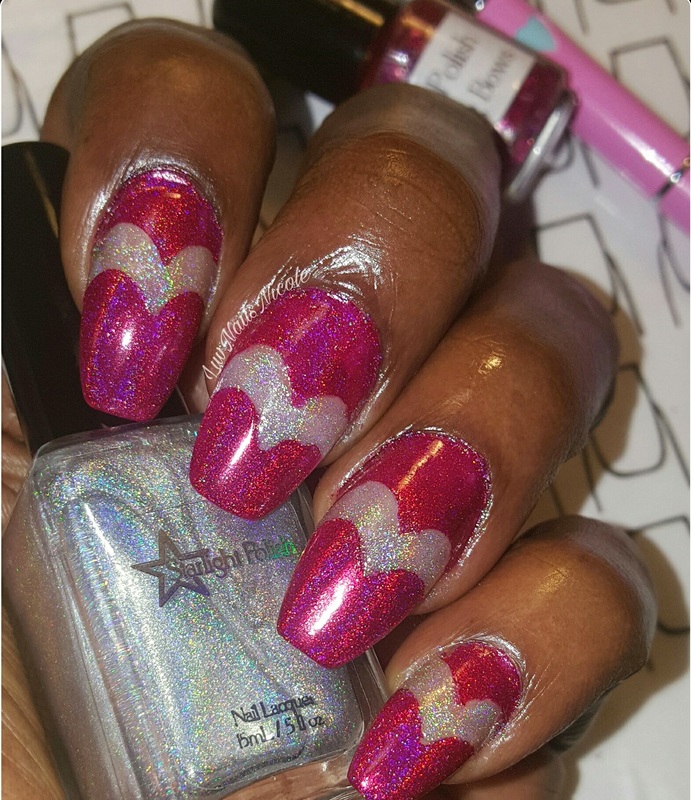 These Gorgeous Metallic Duos Was Sent to me By a Indie Polish Line that I came across on IG Called PAINT IT PRETTY POLISH. Made&Shipped From Canada. 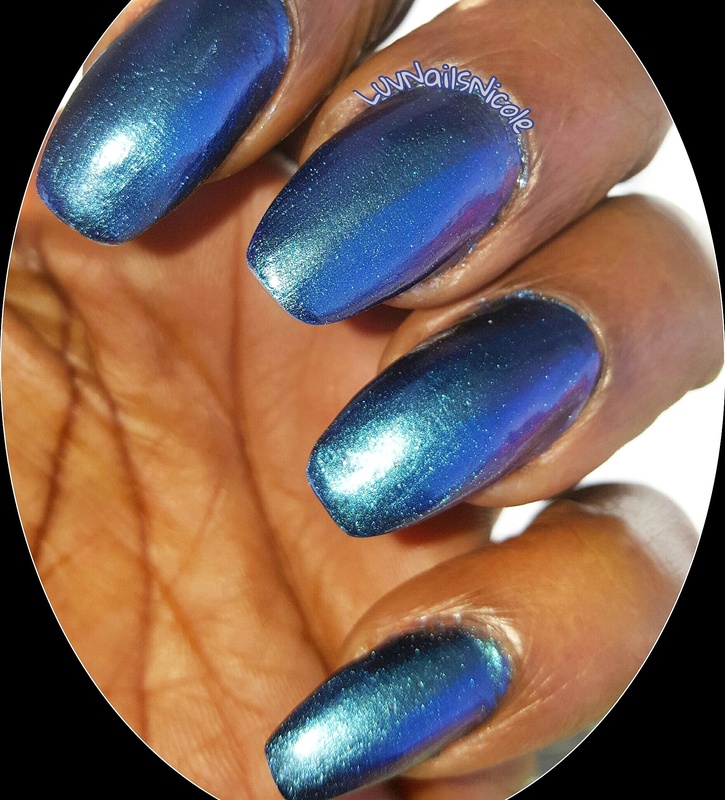 These two colors are part of their “MaJic Collection” Named By the Owners Twins Which I thought was Cute “MaJic Wand & MaJic Trick. They are both Opaque in about 3-4 Coats.You can use 1-2 coats for a more Sheer look which i did on my Thumb Nails. I also did a Mat Swatch where I used 2coats & the colors were still pretty & shiny. (I will leave link below to the swatch vid). 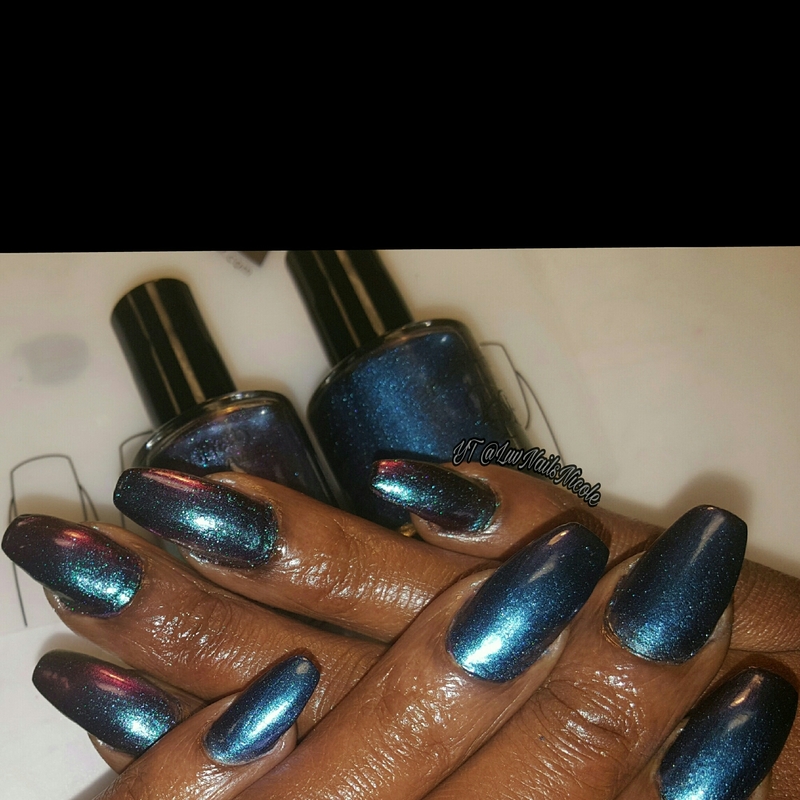 Dry time took awhile due to me using 3-4 coats even with fast dry but all in all I Luv the colors,Very Bright & Shimmery. Packaging was neat&Shipping was quick. The 2 Multi–Chromes will be $15.77. The Collection will also include 3 Thermal Polishes and will all Release on February 15. I will leave links at the bottom where you can Order/Follow on Etsy&Instagram. Below Is MAJIC WAND in Sunlight. The Shimmer is so much prettier irl & Same w/MaJic Trick you can so many Colors Shifting in different lighting.